The Best Archaeology Magazines from thousands of Archaeology Magazines on the web using search and social metrics. Subscribe to these websites because they are actively working to educate, inspire, and empower their readers with frequent updates and high-quality information. 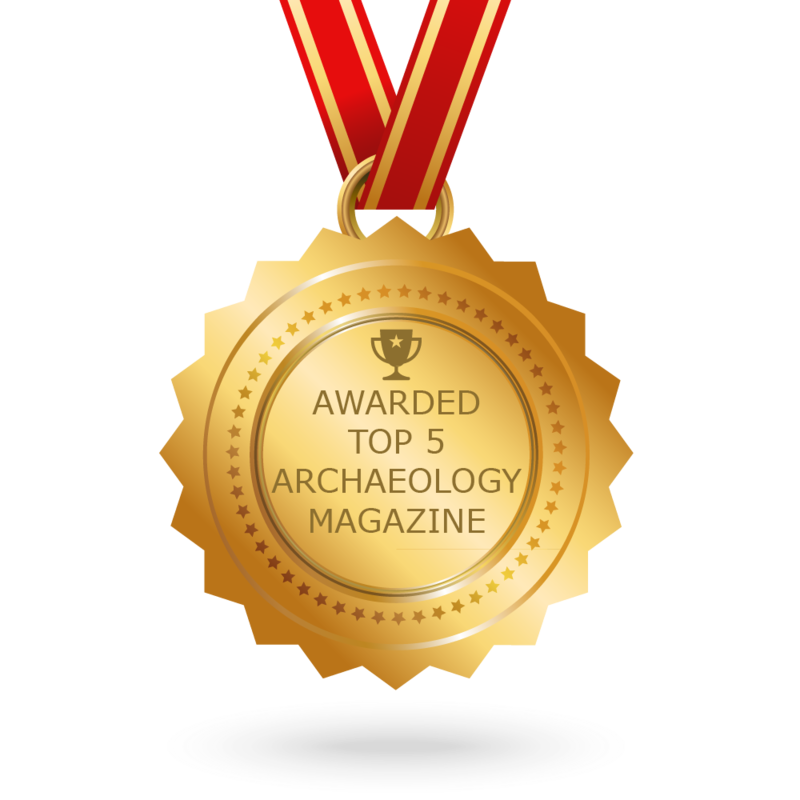 CONGRATULATIONS to every Magazine that has made this Top Archaeology Magazines list! This is the most comprehensive list of best Archaeology Magazines on the internet and I’m honoured to have you as part of this! I personally give you a high-five and want to thank you for your contribution to this world. Archaeology Magazine newsletter is a comprehensive summary of the day’s most important blog posts and news articles from the best Archaeology Magazine websites on the web, and delivered to your email inbox each morning. To subscribe, simply provide us with your email address. Washington, D.C. About Blog The Biblical Archaeology Society (BAS) was founded in 1974 as a nonprofit, nondenominational, educational organization dedicated to the dissemination of information about archaeology in the Bible lands. Find out what archaeology can reveal to anyone eager to understand the world of the Bible. Facebook fans n/a. Twitter followers 13,549. About Blog Archaeology is published by the Archaeological Institute of America. The AIA’s worldwide membership includes professional archaeologists, students, and people from all walks of life, all united by a shared passion for archaeology and its role in furthering human knowledge.The Archaeology website features daily news from around the world, reports from current excavations, and exclusive online interviews, reviews, and features. Facebook fans 2,067,153. Twitter followers 278,451. About Blog Current World Archaeology, Britain’s most popular world archaeology magazine, tells you about the archaeology of the whole world – from the first emergence of man down to the present day. CWA was founded in 2003 as a sister magazine to Current Archaeology, the biggest magazine devoted to British archaeology which, since 1967, has been reporting on the latest discoveries in British archaeology. Facebook fans 10,394. Twitter followers 43,396. London, UK About Blog Current Archaeology is the UK’s leading archaeology magazine. We tell you all the story; how the discoveries were made, what was found & what it all means. The magazine aims to bridge the gap between the amateur and the professional in archaeology. Most of the articles are written by the archaeologists involved, and are then edited to ensure it is accessible to all. Facebook fans 19,992. Twitter followers 75,708. USA About Blog The Archaeological Conservancy: the only national non-profit organization dedicated to acquiring & preserving the best of our nation’s archaeological heritage. American Archaeology is the only popular magazine devoted to the excitement and mystery of archaeology in the United States, with additional coverage of Canada and Latin America. Facebook fans 180,380. Twitter followers 2,769. The post Top 5 Archaeology Magazines And Ezines To Follow In 2018 appeared first on Feedspot Blog.